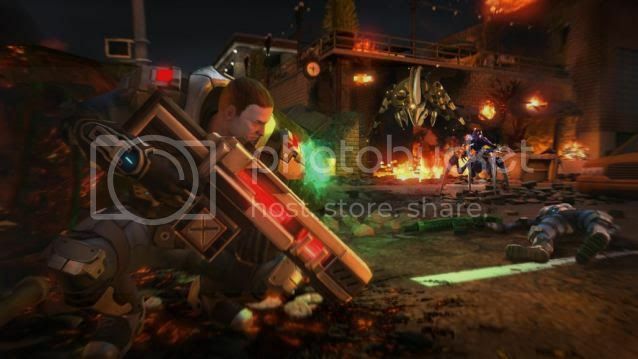 What makes a solder’s loss acceptable in XCOM: Enemy Unknown? I, along with many of you (I imagine), have sunk endless hours into XCOM: Enemy Unknown since its release, desperately trying save the world from an ever intensifying alien invasion. And, as much as I try and stay true to the desperate nature of that struggle, I have a confession to make: I've been save-scumming. Several times after a mission where I incurred losses that I simply could not stand, I've gone back to a previous save to try again. Every time I load my game to continue the fight, I am shamed by the saves I've left behind — total squad wipes, deaths of beloved (and well-trained) soldiers, and countries broken out in panic — all reloaded so that I might continue in the quest for a more successful game. But I haven't cheated every death. I've experienced losses that I was willing to accept. At least as many times as I've reloaded to spare soldier or save a nation, I've saved over an old file making a death permanent. The interesting question is why. What are the parameters of acceptable loss? I can start by saying that any soldier lost to a glitch, computer or human, is grounds for a reload, i.e. my trusty Support-class trooper who accidentally grenaded herself because I thought "4" was the hotkey for the Overwatch ability gets to try that battle again. The reason why is pretty simple: It's a matter of intention. A loss to a glitch can in no my be imputed to my intent, and I therefore don't feel at all bound by it. This is, of course, different from a loss being unintentional, which they all are. But in those other cases, the loss — though not intended — results from my intention. For example, I don't want to lose the entire squad (nay, any of the squad), but I do intend to rush them up with no covering Overwatch, which gets them all killed. In any case, glitches account for a fairly limited number of instances (I'm glad to say I'm not stupid or careless enough for that to be a mistake I make often). The remainder are a much thornier problem. The question of what makes the difference comes down, in some ways, to something pretty obvious: How important is the loss? The level of a soldier — the gravity of the loss — does matter when I decide to reload or to play on, but not in the obvious way you might think. The proper hermeneutic is not a simple evaluation of gameplay importance but rather the relation between "character" and "pawn." Character and pawn are two different ways of valuing a soldier in XCOM. The difference between a character and a pawn is fairly self-explanatory. To view a soldier as a pawn is to see them as a pawn in a game of chess. Pawns are valued for the way they contribute to victory, for how they may be converted into a queen, or how they are sacrificed to force your opponent into a fork. When viewing a soldier as a pawn, the only things that matter are their gameplay characteristics: stats, abilities, equipment, etc. To view a soldier as a character is something else entirely. Characters are cherished not for gameplay reasons or their ability to give you victory but for their sentimental value. Characters' value is determined by your emotional connection to them and by the narrative that surrounds them and of which they are a part. A character is a virtual person. It's pretty much impossible to see a soldier entirely as a pawn or entirely as a character. Doing the former would leave me completely divorced from the narrative and from the game world while the latter would mean that I couldn't play the game, being unable to evaluate and utilize my soldiers effectively. So every soldier is always both, and it is this that informs the acceptable parameters of loss. The question isn't, in fact, "How important is the loss?" It is, "How is the loss important?" I respect the loss of a soldier valued primarily as a character and will refuse to reload — regardless of tactical or strategic importance. The soldier lived and died within a game world and her life and death gave that world its story and its narrative integrity. I have more to say about this difference between character and pawn and how it impacts the games we play, but it's beyond what XCOM can teach us. In any case, I need to get back to XCOM. It's time to open up an Ironman file and make the whole question moot.